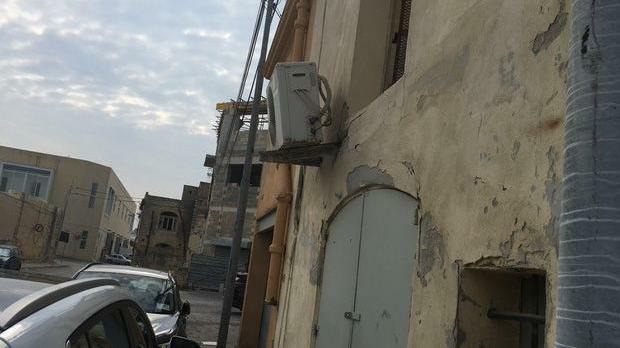 A pedestrian who contacted the Occupational Health and Safety Authority to warn them about an air conditioning unit dangling precariously over a pavement in Marsa has seen his attempt to help rebuffed. 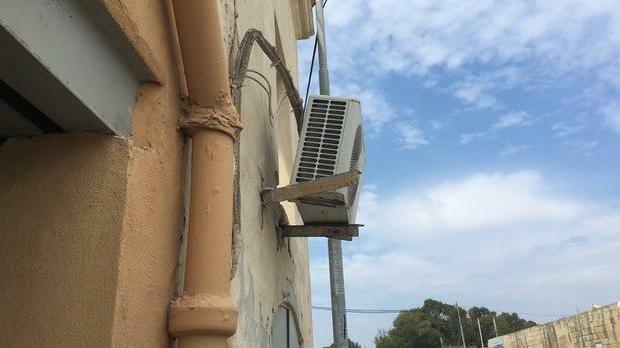 The concerned citizen emailed the authority on Monday and alerted them to the rusty old AC unit outside an abandoned building in Marsa. He copied Times of Malta in on the email. On Tuesday, the OHSA replied by telling him that the matter was not their concern - perhaps because the authority's role is focused on 'occupational' safety. “You may wish to refer your complaint to the district police authorities under whose responsibility the matter falls,” the authority’s CEO wrote. The authority’s reluctance to take any action – not even forwarding the report to police itself - appeared to catch the Times of Malta reader off-guard. Times of Malta has forwarded the citizen's email to the police. The OHSA said it was not true that the citizen was rebuffed, or that at any time the authority informed the complainant that the matter was not its concern. "Issues of public safety fall outside the applicability of the Occupational Health and Safety Authority Act; the complaint concerned a precariously-hanging air conditioning condenser unit on an abandoned building – a situation which falls outside the applicability of the OHS Authority Act." "The person lodging the complaint was described as being ‘civic-minded’. Nevertheless, he had no qualms about using his time to inform Times of Malta, instead of alerting the police for action to be taken, as he was advised to do by OHSA." The OHSA said it is still inundated with hundreds of similar complaints concerning issues of public safety, nuisances (such as dust, noise, odours) as well as issues of a civil nature (including in residential buildings) which do not fall within its legal remit. "OHSA would have appreciated being consulted by The Times prior to the publication of the said article to ensure that the whole picture is represented and all views taken into consideration." Editor's note: The Times of Malta contacted police itself after reading Dr Gauci's reply to the reader in question. The public safety hazard was removed within 24 hours.